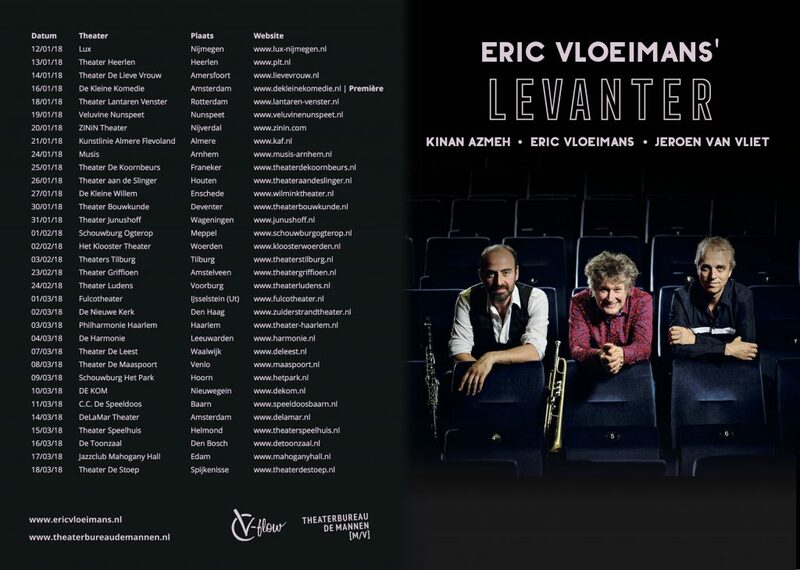 Starting januari 2018, I have the pleasure to perform 31 concerts with trumpeter Eric Vloeimans and Syrian / New York-based clarinetist Kinan Azmeh. We release our live-recorded album and will be recording new material on tour as well. Check out this great playlist and please be welcome at one of the concerts.